I spotted a picture on Pinterest that really caught my attention. It was from this great little blog. She turned a soft drink crate into a spice rack. I've never had a great spice rack. I've never found one I really liked. I decided to imitate it. In fact, I have the exact same Dr. P red crate. I first thought about using this one because I like how old it is. so they don't make great "shelves." Not a problem, I'll use my red one. I picked up jars at Hobby Lobby. You see the price? It was 50% off that week so we didn't have to pay much. I filled up the jars. Then put some handmade labels on them. You know, I like the little jars just sitting there. Here we go...my new little spice cabinet. but I like it with out the labels showing. We'll memorize quickly enough which spice is where. Thanks to the blog, A Formal Feeling Comes, for my new spice rack. What a great idea and such cool little bottles. I used mini mason jars for our spices but they are just stacked on our counter because I can't find something to put them in. that is too cute and a fantastic idea! What a fabulous spice rack. I've never had one either and my spices are all jumbled in a couple of baskets. It is one of those projects I keep meaning to get to, but don't really have a brilliant idea of what to do yet. I would do the same thing you did if I had one of those crates. Do you find that is enough jars for you? I think I counted my spices once and found I used/had 30 different ones. Love that you used the red so pretty! I love the red cubby on your countertop! 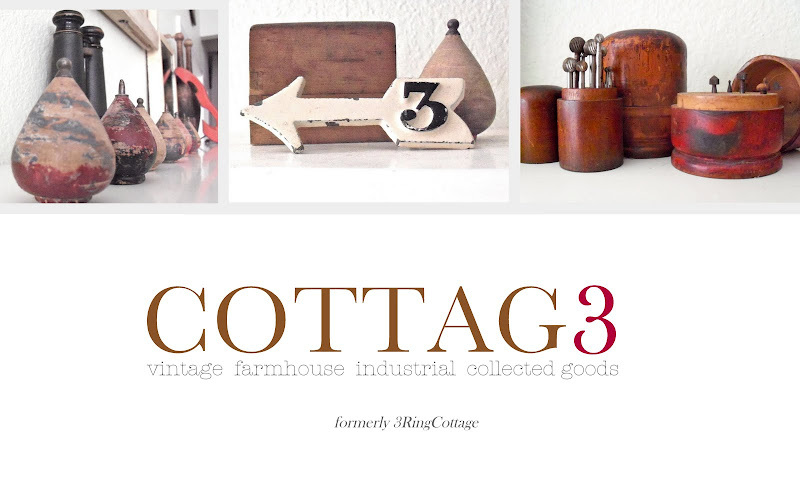 There are so many inspiring ideas out there in blogland! 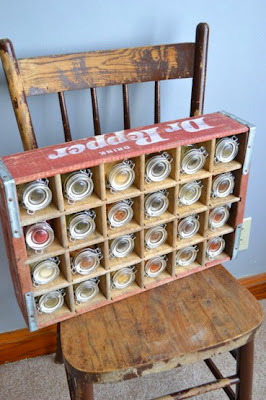 This is so cool...I sell the bottle crates sometime and never thought about a spice rack. I have just got to get more creative! I bet you could sell these in the mall! Gonna bring some new red in Thursday. Come see it all. Ooh I love it! What a great idea. Great job, Gina. That's a great idea! Your version is just as cute as the inspiration. I'm with you. The lids should face out! I LOVE it! What a great idea. I'll have to go check out that blog. My husband would want the labels facing out too, what is it with these guys? Thanks for noticing my spice rack! It feels so cool to inspire other people. And as a note, my husband HATES that the labels aren't facing outward. I just change the subject every time he brings it up. I can't think of a nice way to label them without ruining the aesthetic. You did a great job!